Sarah's Craft Shed: A Card for Coffee Lovers! A Card for Coffee Lovers! Having been working in my art journals for a few days, I decided to make a card for a change. I have various coffee themed stamp sets which I hadn't yet used, so decided to work with those. As you will see, I created a gatefold card. The base for the card is made from a piece of A4 dark brown card, trimmed to 29.7cm x 14.8cm and scored twice (A4 gate) to create a square gatefold card. For the panels, I cut one piece of Sheena's stamping card to 14.3cm x 14.3cm and two pieces to 14.3cm x 6.5cm. These were inked all over using Distress Oxides in Walnut Stain, Gathered Twigs, Frayed Burlap and Vintage Photo. Once blended to my satisfaction, I gave each piece a spritz of water and dried them thoroughly with a heat gun. Next, I applied a layer of stamping in Coffee Archival ink using some of the stamps from the Coffee Love and Coffee Talk stamp sets by Altenew, as well as the Coffee stain stamp from the Journaling set by Claritystamp. I also blended Walnut Stain distress oxide through the Splatters mini stencil by Tim Holtz (THMS009). Further stamping was added from the same Altenew stamp sets; this time using Versamark ink and heat embossing in gold EP. Before adding the panels to the base card, I matted each one onto gold paper leaving a very narrow border. For the final, finishing touch, I stamped one of the Fresh Brewed Blueprint stamps (Stampers' Anonymous/Tim Holtz) onto cream card using Versamark ink and heat embossed it using the same gold EP. The image was coloured using Distress Markers in the same colours as the Distress Oxides, scribbled on a glass mat and picked up with a water brush. This was trimmed closely, then matted onto gold paper and dark brown card, before being added to the left hand flap of the card. 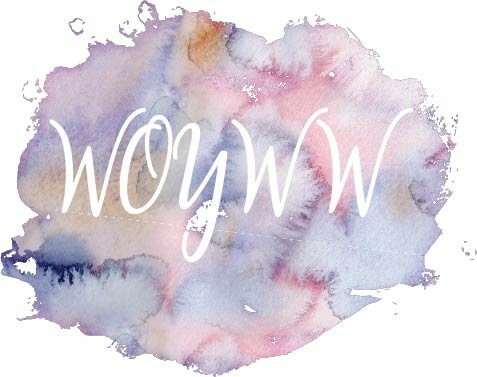 WOYWW 464: Crafting on my Lonesome! The Forty Minute Tag Challenge! A Big OOPS, but Saved in the End!